A good job board also means it has a well designed interface that is pleasing to the eye. Here are 5 job boards I picked that offer solid design principles. 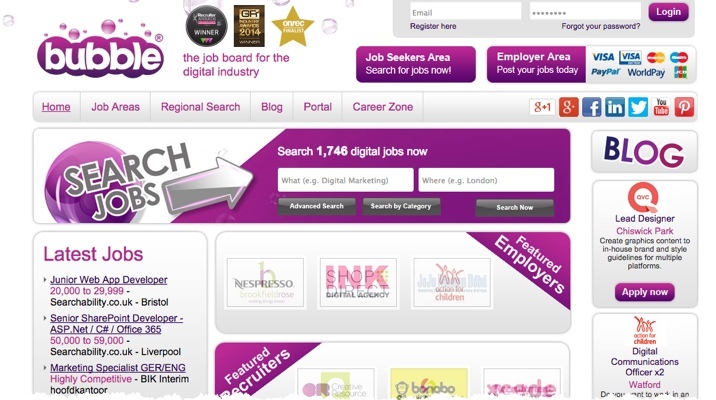 Bubble Jobs is a UK based site for the “digital industry”. The homepage is a little busy but its a unique design with a pleasing color palette. The bubble page background is a nice touch. 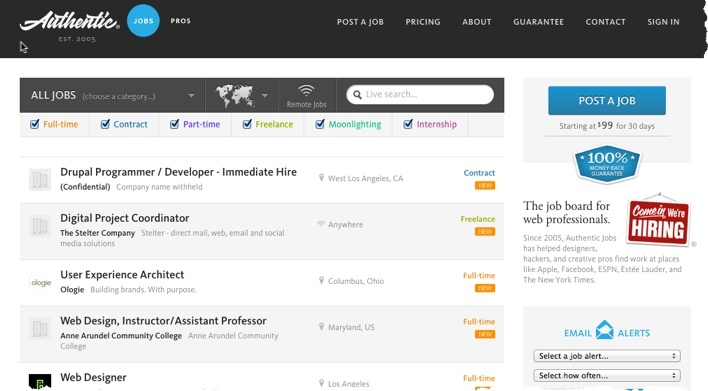 Authenticjobs is a popular tech job board. Their homepage has a clean, focused interface. I love how much of the main real estate goes to the latest jobs. Logos along the left are also a ‘must have’ these days. Inbound.org/jobs is a community site for inbound marketers. They have a great job board too. Archinect.com/jobs is a community site for architects. Their job board features a clean, flat design, again featuring logo icons next to each listing. 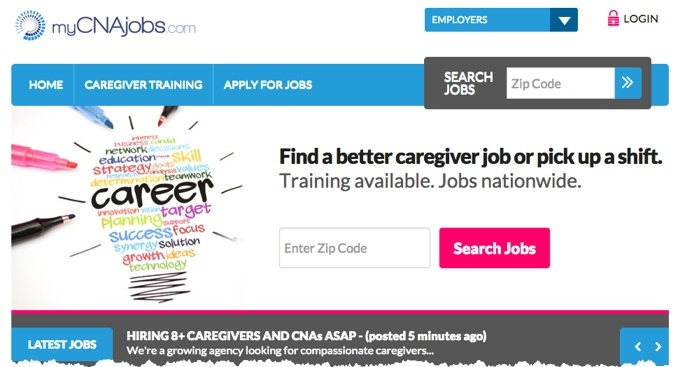 MyCNAjobs is a niche site for certified nursing assistants. Since its only for 1 kind of job they just have a zip code locator for finding the jobs near you. Looking for more cool job boards? 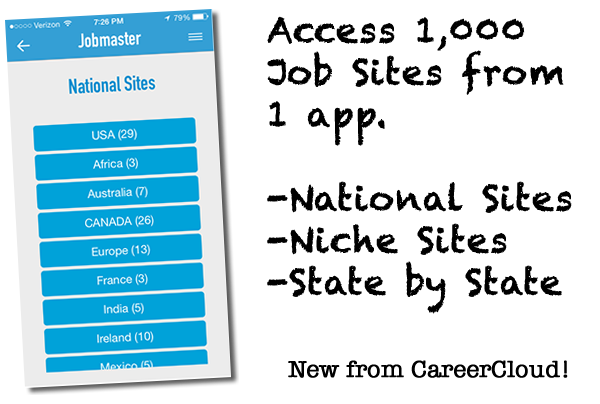 Check out the Jobmaster app for iOS.